Rally your community even before your event goes live. Start a group on Peatix, grow your community, and have everything you need to sell tickets online and manage event registrations with ease. Sell tickets online in minutes. Hassle-free event page set up. 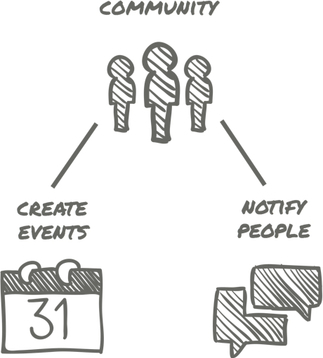 Members of your group are automatically notified of new events you run. Generate immediate interest and ticket sales for your event. Reach more people with automated event recommendations to Peatix's existing users. Know your event attendees using a customizable form. Fast and simple check-ins of electronic tickets using our free mobile apps at the door. Receive payment from ticket sales within 5 working days. Save time collating payment from different sources.